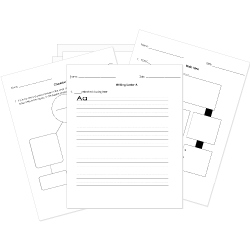 You can create printable tests and worksheets from these Grade 3 Antonyms questions! Select one or more questions using the checkboxes above each question. Then click the add selected questions to a test button before moving to another page. What is an antonym for the word "stop"? Which word means the opposite of "narrow"? What is an antonym for the word dashed in the following sentence? Gina dashed across the finish line in first place. Airfare home was very EXPENSIVE. The test results were GOOD. Lidya thought the gift was worthless. Sam's driving made her nervous. Ron did not know the departure time for the bus. Identify the words that are antonyms. My short brother climbed the tall tree. Which two words are antonyms? Which word below means the opposite of avoid? The Nuggets never lose a game.